Brailin lives in La Loma, a neighborhood in Quisqueya, with his widowed grandmother, dad and 3 siblings. He is the youngest of 4 brothers. He was abandoned by his mother in 2012. From time to time she sends money to support them. 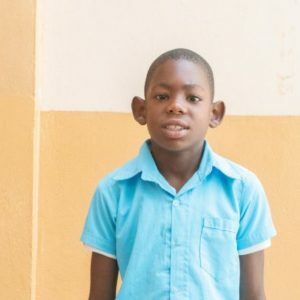 Although Brailin’s father was hurt in a motorcycle accident and still has a hurt leg, he is able to work some construction jobs to help support the family. His house is made of wood, has a tin roof and a concrete floor. Brailin joined the Emanuel House family in early 2015. He is described as hyper-active and he likes to play with anything. He especially likes baseball. Brailin comes from a Christian home and often attends church with his grandmother.